Ultra-Paint Waste Collection Center Keeps Paint Washout And Waste Contained And Keep Construction Sites In Compliance With NPDES And Other regulations. 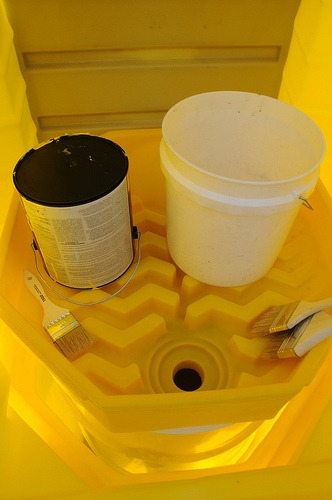 Large 70-Gallon Sump Contains A 55-Gallon Drum (Not Included) To Hold Washout Until It can Be Disposed Of Properly. Lockable, Roll-Top Door Helps Prevent Unauthorized Access. 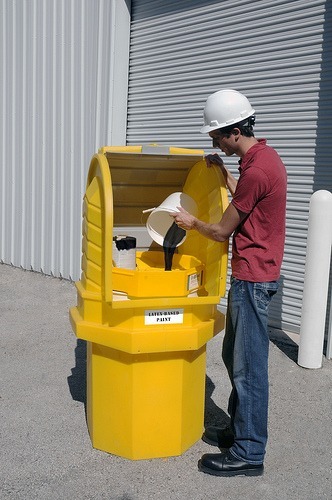 Drum Top Funnel (Included) Provides Large target For Bucket Of Washout And Allows Containers To Be Left Upside Down To Drain Completely. Helps Comply With NPDES, 40 CFR 122.26 (1999) When Used As Best Management Practise In Storm Watter Pollution Prevention Plans. Category: Ultra-Paint Waste Collection Center®.